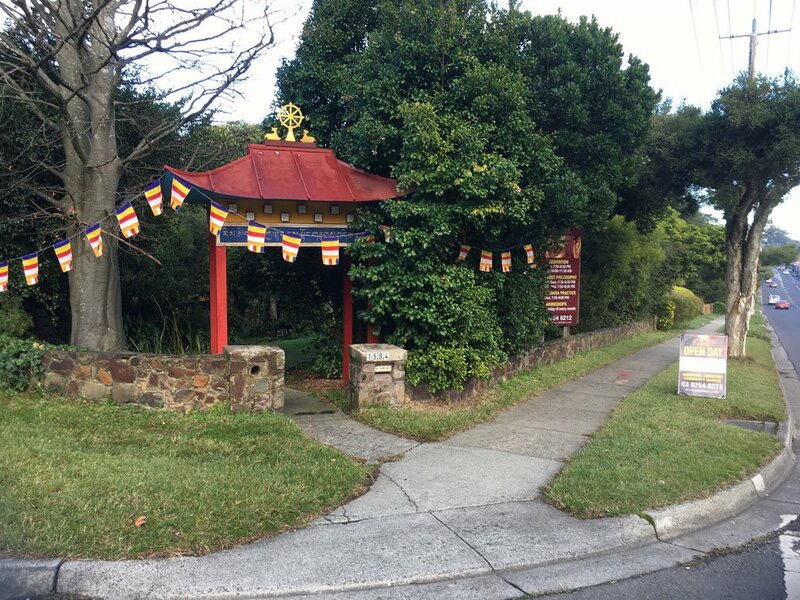 The Dandenong Ranges community came out to celebrate The Tibetan Buddhist Rime Institute Open Day on Sunday 21st August 2017. 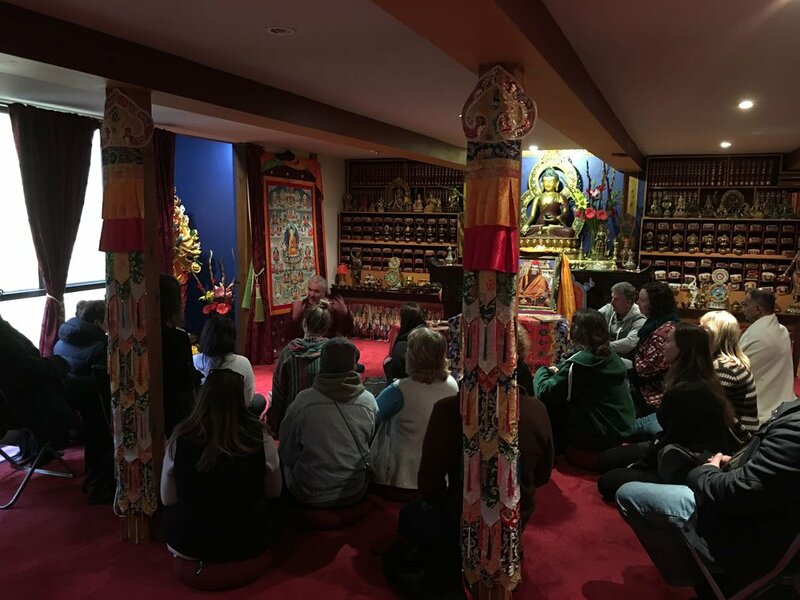 The temple was open to the general public offering a variety of classes for people to come and try out. It was a particularly special day in TBRI history as it was the first time we unveiled our Innate 24 Arm Kalachakra Statue for public viewing. 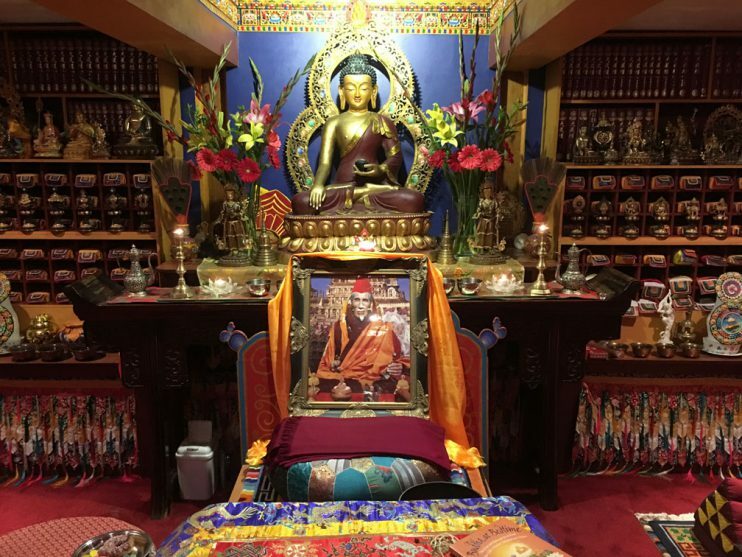 The statue (pictured below) was commissioned by Khentrul Rinpoche and took over 3 years to complete. The statue is filled with many sacred and holy objects and brings extraordinary blessings to anyone who sees it. One of our resident teachers Joe Flumerfelt lead a discussion and explanation of the significance of the statue with people listening on intently (pictured below). The statue will be available again to view by general public in 2018. Local residents were able to wander the TBRI grounds and try out a number of classes including meditation, Reiki and Children’s activities. Many enjoyed a cuppa and something yummy to eat which was served by our extraordinary volunteer crew. We would like to extend a big thank you to everyone who attended and shared this special day with us. Hope to see you all at the next Open Day. 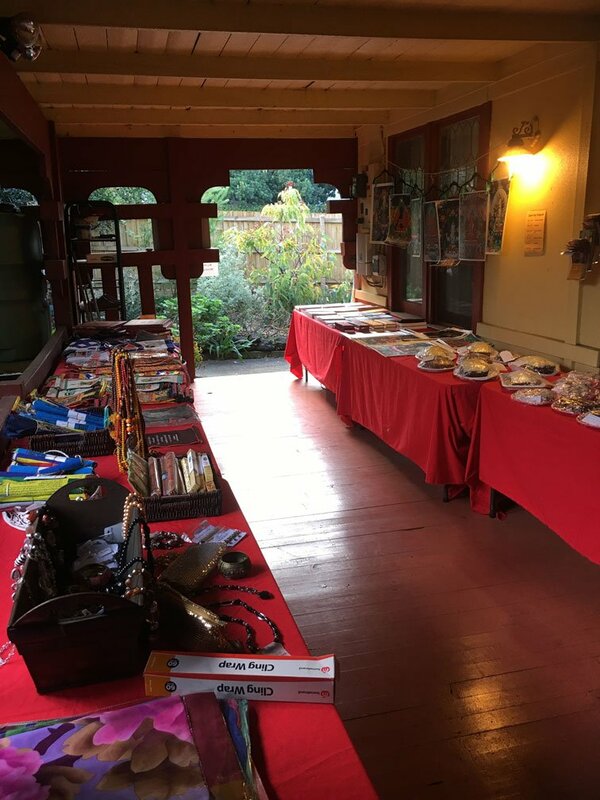 A wide variety of Dharma books and practice materials were made available to raise money for the Temple. The Kalachakra statue was on display in its custom-made enclosure. Joe explains the symbolism behind the statue’s various features.